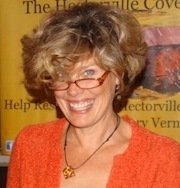 Vermont Poet Pamela Harrison, author of the new collection, Out of Silence. This week's Write the Book Prompt was suggested by my guest, Pamela Harrison. In her creative writing classes, she will sometimes ask students to read and study Archibald McLeash's Poem "Eleven," which captures a particular time in the intellectual and emotional life of an eleven year old boy. He is asked by the adults in his life to "think, think, think!" But he's not ready to think. He's still living deep inside his body. He hasn't arrived at his intellectual capacities yet and hasn't awakened to his separate self. The poem, says Pamela, beautifully captures that time in the life of a child. Your prompt this week is to find the poem "Eleven" and read it. Look at each line as it develops. Then find or remember a place in your own life that was your hideaway, your safe place as a child, where you were most alive inside your body and where you had a sense of wholeness; then write. It's amazing, says Pamela, what this exercise inspires in her students.